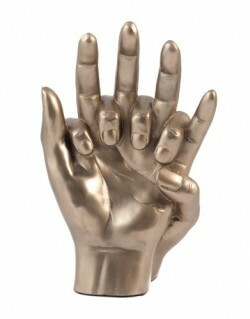 Hands Entwined cold cast bronze sculpture. A lovely sculpture of two hands tenderly entwined. Inspired by Rodin.